The results from a recent survey commissioned by ESET® in May-June 2015 using Google Consumer Survey shows that 88% parents worry about what children can access on the internet. In response, ESET announces the launch of its brand new ESET Parental Control for Android, which is designed to meet the needs of parents to ensure their kids have a safe smartphone and tablet experience. The survey, which asked 2000 parents in the UK and USA questions about their children and the internet, was commissioned by ESET to better understand the relationship between parents and children when it comes to online security. 88% of parents worrying about what children can access online and only 37% of them do not have any security running on their mobile or tablet to protect their kids while using their device. The survey also revealed that only 34% of parents have installed a parental control app to help manage their kids’ online experiences. "While we weren’t completely surprised that most parents worry about what their kids access online, we were shocked by how few had done anything about it," said Branilav Orlík, Product Manager at ESET. "It became apparent that the current parental control apps were failing to meet the needs of parents, so we have been researching and building our own in-house. In a nutshell, we want to ensure that any child, no matter what age, can access the internet securely and use apps without fear of being exposed to inappropriate content." 61% worried that their children spend too much with the device. 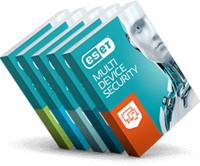 ESET Parental Control for Android is a child-friendly all-in-one family protection system which helps parents to build a respectful relationship with their kids who use their own smartphones or tablets. Designed to help parents protect their children against internet threats and inappropriate web pages, ESET Parental Control for Android boasts a wealth of security features and a friendly user interface. Learn more about ESET’s Parental Control for Android and try out ESET Parental Control Beta now!